Replacement NH4 & NO3 color cards for the urea testing. 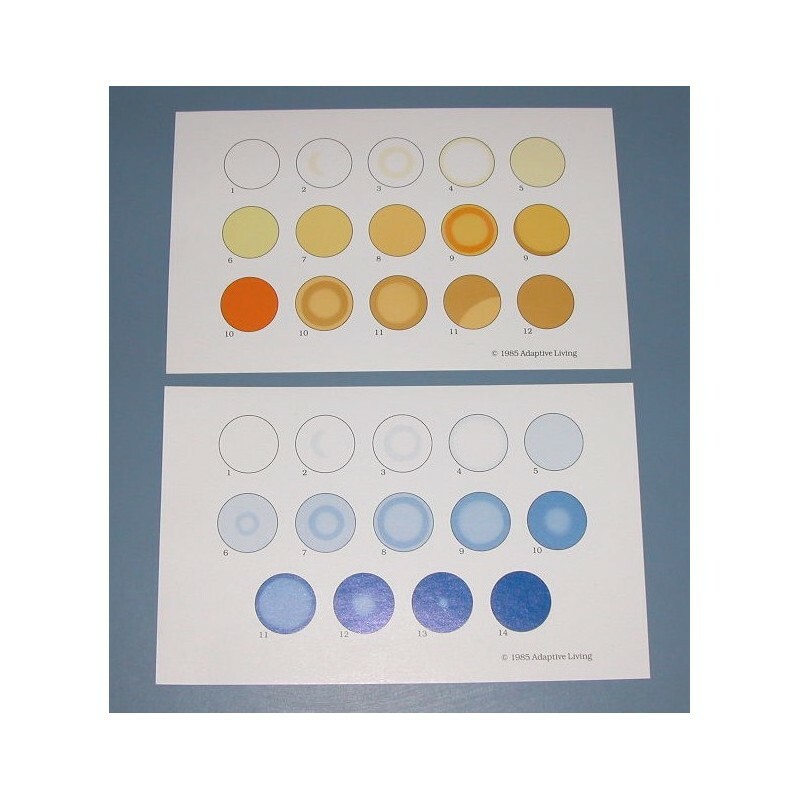 These cards are used to visually identify the results of the ammonium and nitrate test solutions as they may appear within the spot plate. 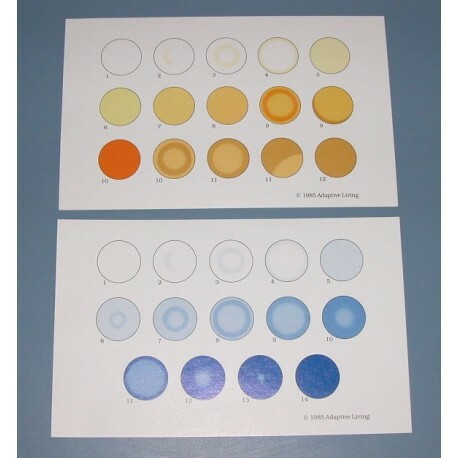 Set of 2 cards (NH4 & NO3) for RBTI Urea Tests. These are replacement cards and are identical to those that are included in the UpH-3 kit.